If you know someone that is a planner addict, you may find it hard to understand. Some people just don't get why a planner is so important and why planner girls decorate and plan like they do. If you don't know where to start, this gift guide is definitely worth checking out! As a planner girl myself, I have a few things on my list from the most coveted items to my personal favorites. Here are the top items on every planner addict's list! Please Note: Some of these links will be referral links which means that you get money towards your first purchase for being a new member and I get money in return. There may also be affiliate links which means that I will receive a small commission when you make a purchase at no extra cost to you. All funds help support this blog, Etsy shop and YouTube channel. Thank you for your support! If you would like to find out more information, please visit my Disclaimer page. This washi tape is not like any other! It has a buttery-smooth feel to it that can't be beat and feature the prettiest designs including their signature bows. There are a variety of colors and styles to choose from and if you're not sure what to choose, they offer a subscription box! These subscription boxes often include Post-It's, note pads and even jewelry! To check out more and to save $5 off your $15+ purchase, visit SimplyGilded.com . Every planner girl has their own style of decorating whether they cover their planner in stickers from edge to edge, use a theme or simply like to be monochromatic, stickers are pretty much numero uno to their supplies. 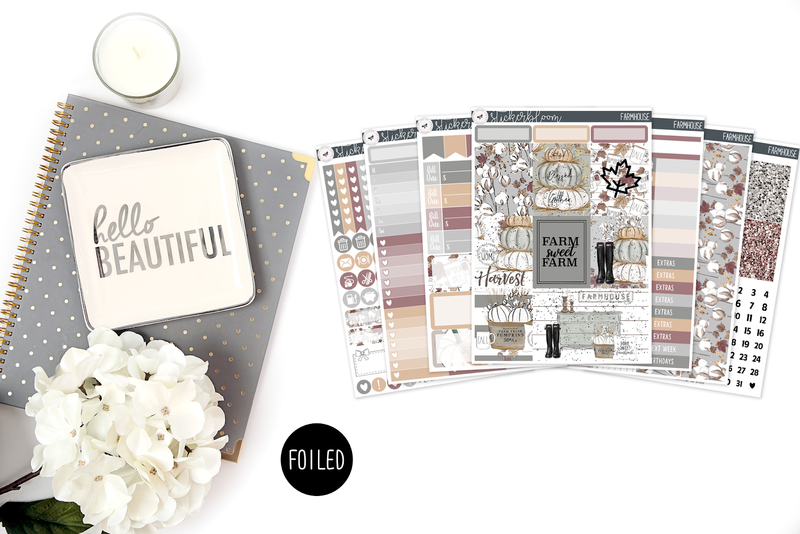 Planner sticker kits come in all styles and can include up to 8 pages! That's a bunch of stickers! 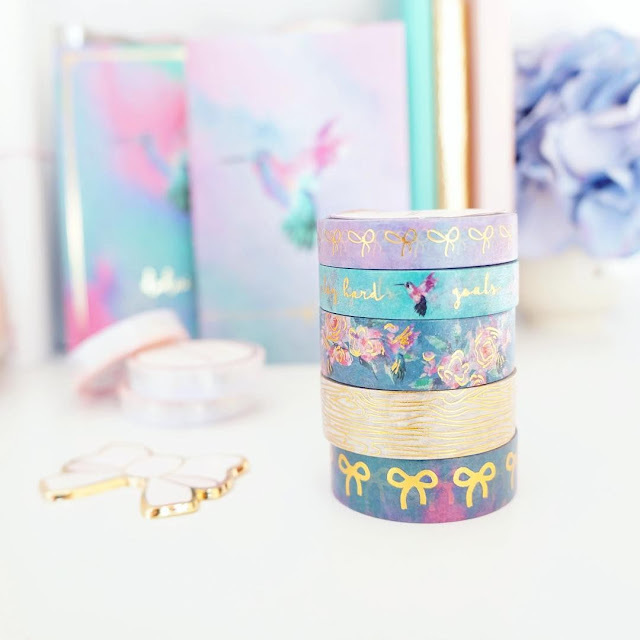 Because there are literally hundreds of sticker shops on the internet, I'm going to share a few of my favorites that are popular and perfect for your planner girl. The first sticker shop I have to share is Sticker Bloom. I recently received my first order from her and the kits and functional stickers I purchased are absolutely top quality. The paper is matte and thick. She also offers foiled sticker options to add a little chic shine to a spread. You can save 10% off your purchase at StickerBloom.com. Right now you can also save 55% with code NOV55. Other great places to shop for stickers include Krissyanne Designs (who also recently released a sticker collection at Michael's) and various planner sticker shops on Etsy. 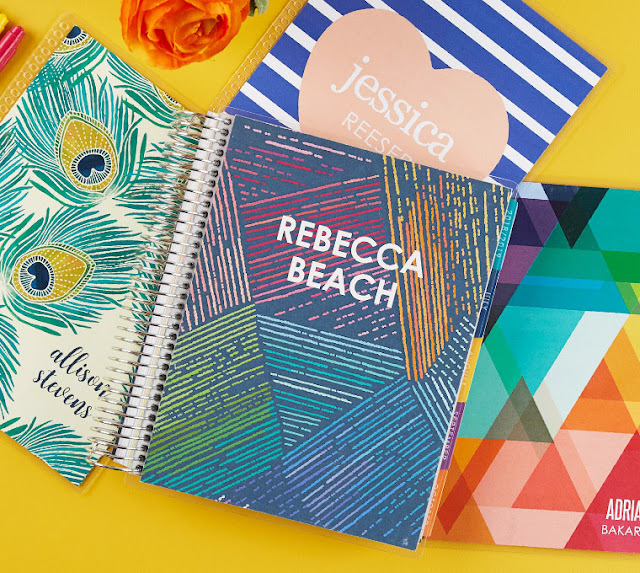 When it comes to planners, there are so many styles to choose from, it can be hard for a planner girl to find "planner peace". However, some of the more popular planners include the Erin Condren Life Planner and The Happy Planner. There are also other methods of planning that include bullet journals and traveler's notebooks. 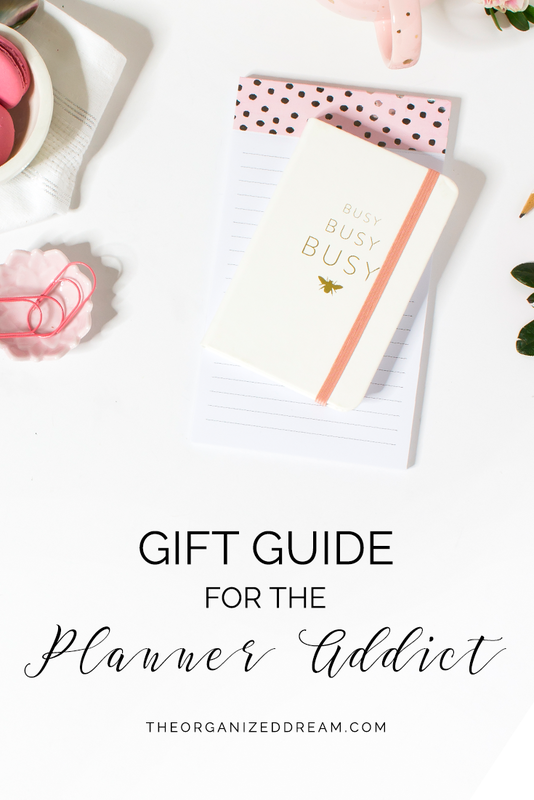 Visit any of these links to find out more about these planners and what could be the best option for a gift for your planner addict! It's fun to give little gifts as well! 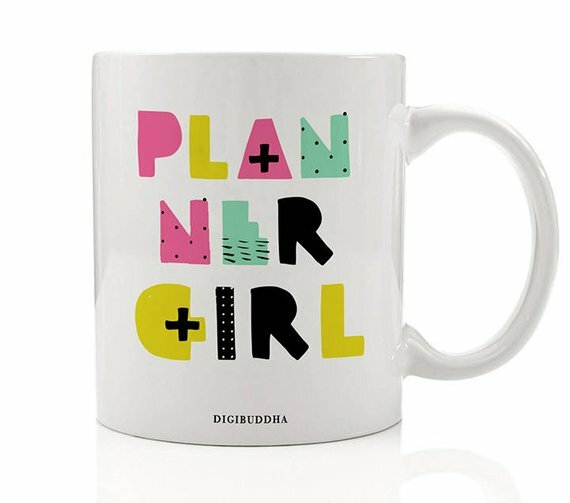 Great gift ideas include planner girl coffee mugs, pen sets like the Inkjoy Gel Pens that are perfect for color coding, planner cases and pencil cases. 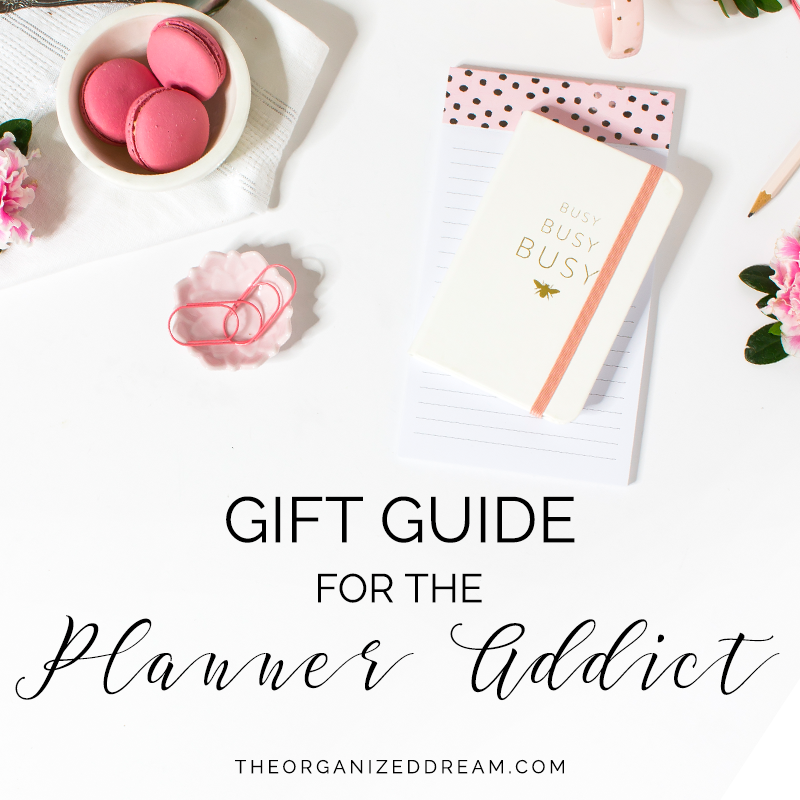 The options are pretty endless for gift ideas, but these are a few that any planner addict will adore!